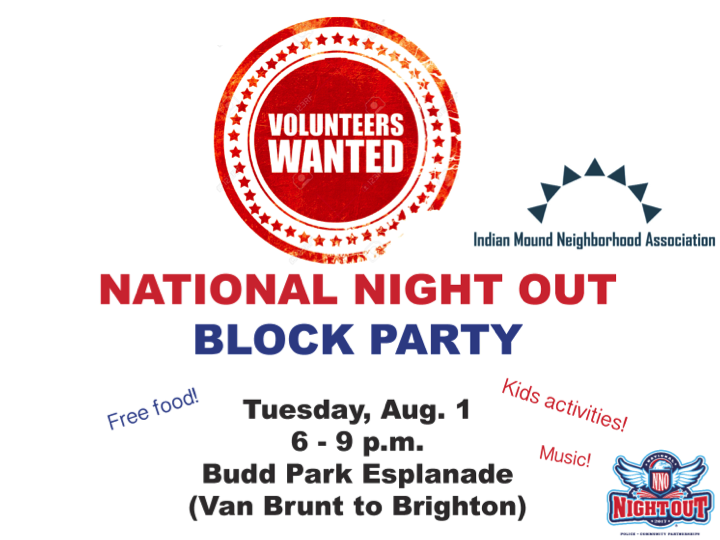 Budd Park Block Party – Volunteers Needed! IMNA is hosting a National Night Out Block Party on Tuesday, August 1! This fun event is FREE, kid-friendly, and community safety-oriented. Come and volunteer!